Our organization was officially founded in 2001, with the merging of two groups: The Anaphylaxis Network of Canada and The Anaphylaxis Foundation of Canada. From 2001-2015, we operated under the name Anaphylaxis Canada. 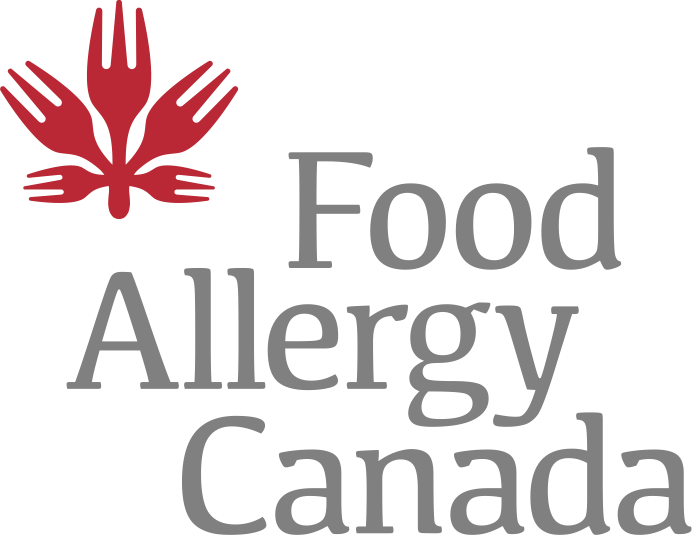 In May 2015, we changed our name to Food Allergy Canada. This change is the next step in our ongoing effort to make life safer for people with food allergies and those that may be at risk from anaphylaxis, by broadening our reach and supporting even more Canadians. For more than a decade, Food Allergy Canada was at the forefront of discussions and meetings with Health Canada officials, letter writing campaigns to politicians, and awareness building through media outreach, advocating for clearer and simpler ingredient lists. In August 2012, the Canadian government finally introduced new regulations that require manufacturers to list common food allergens in simple language and make it clearer to consumers when they are present in pre-packaged foods. Food Allergy Canada worked tirelessly on the campaign to successfully pass Sabrina’s Law (2005) , landmark legislation that supports children with severe allergies in Ontario public schools. The law has served as a model for legislation in other countries as well as Ryan’s Law (a law to protect students with asthma), which received Royal Assent in 2015 in Ontario. We continue to advocate for improved anaphylaxis management policies and practices in all school environments across the country. Our Newly Diagnosed Centre, launched in 2013, reaches thousands of parents each month — helping them to navigate the new terrain of managing food allergy at home, school and elsewhere. Our programs for kids and teens continue to grow, and include innovative online mentoring, webinars, meetings, panels, multimedia and apps that speak to youth in their own language. Most recently, in the spring of 2015, we launched Allergy Allies –a youth mentorship program for young teens. Each year, we provide information and support to thousands of people through our programs, phone line and email and directing them to credible resources and connecting them with local community groups. Our MissionTo educate, support, and advocate for the needs of individuals and families living with food allergy and the risk of anaphylaxis, as well as to support and participate in research related to food allergy and anaphylaxis. Food Allergy Canada reaches millions of Canadians each year through its outreach and awareness initiatives. We deliver vital information, innovative programs, and important services directly to more than 500,000 individuals with food allergies per year. We are frequently called upon to speak to the media about food allergy and the importance of food allergy management. Our youth outreach program offers education, mentorship and honest discussion, spearheaded by our exemplary Youth Advisory Panel. We also offer online mentoring for kids. These services complement our broad range of educational and allergy management programs for parents, teachers, child care supervisors, restaurants, food service, and many others. We also support leading-edge research by top allergy specialists working towards a cure. Food Allergy Canada has staff in Toronto, ON, and Kamloops, BC, with volunteers across the country. Contact us. Food Allergy Canada is a national registered charity. We are supported by individual and corporate donations, sponsorships, grants, and fees from training services. We couldn’t do all of this without the support of our members and partners. Please consider making a donation of any size to Food Allergy Canada today.